When you stay at Los Angeles Athletic Club, you’re ideally situated to some of the most popular destinations in downtown Los Angeles. 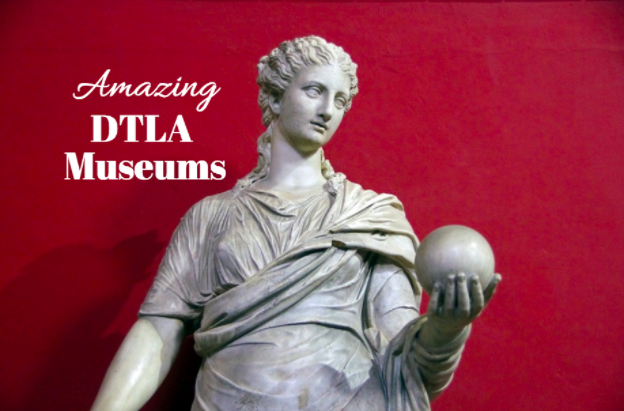 If you’re in the mood to visit some museums, check out some of these famous museums in the area. The Broad is currently one of the most popular museums to visit in Los Angeles. Opening in LA just a few years ago, this newer art establishment features contemporary pieces, many of which cannot be seen anywhere else. Perhaps the most famous part of work in the museum is Yayoi Kusama’s Infinity Mirrored Room - The Souls of Millions of Light Years Away. Step into a room housing a seemingly endless LED light display. It is indeed an immersive piece of art that should not be missed. Also, admission to The Broad is FREE. Just be sure to go online and reserve your ticket beforehand. Visit the official website for more information. MOCA, the Museum of Contemporary Art, is a congregate of three separate art museums located in LA. In downtown LA you’ll find the MOCA Grand Avenue, which features artwork since the 1940s. The Geffen Contemporary at MOCA is perhaps the most famous MOCA museum. This location houses large-scale multimedia projects, electronic installations, sculptures and more. Finally, MOCA at the Pacific Design Center is the home for emerging artists as well as various programs sponsored by the museum. If you enjoy contemporary art, visit any of the three MOCA locations today! If music is the art form you love, then a trip to the Grammy Museum located at L.A. Live is the place for you. The museum strives to celebrate all types of music from the creative process to the technology of the recording process to the artists who perform. At the museum, learn about the history of music and learn about various genres from rock to country, jazz to Latin, classical to hip-hop and more. There are also always new exhibits to explore as well. Stop by the Grammy Museum today.